Residential conveyancing is an area of law which is a common target for fraudsters setting up a bogus law firm. 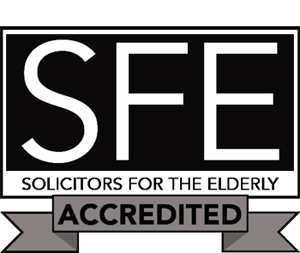 A bogus firm is a firm who is not regulated by the Solicitors Regulation Authority (SRA) and pretends to be entitled to provide reserved legal activities or call themselves solicitors. This is a criminal offence and the reports of such incidents being reported are rising. Match My House: The Match.com of the Property Market? Match My House was founded by Wirral resident Dan Thomas following his negative experiences of estate agents when buying a number of houses over the years. He wanted to eliminate some of the stresses in the conveyancing process and also bring back some of the excitement into moving house. In November last year the Government introduced stamp duty changes which meant first time buyers spending £300,000 or less on a purchase would not have to pay stamp duty (first time purchases between £300,000 and £500,000 would only pay stamp duty on anything over £300,000). This was done in the hope that more first time buyers, the most struggling in the property market, would be able to get onto the property ladder.